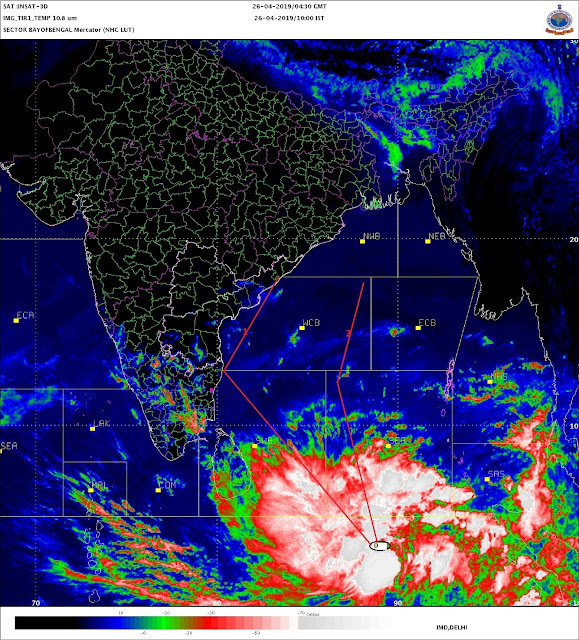 The awaited Western Disturbance is now affecting the western Himalayan/H.P. and Kashmir region from yesterday, and will continue to do so for the next three days. As an extended outcome, rain or snow may occur over Uttaranchal from Friday. On the passage of another approaching W.D, rain is also expected in Dubai on Saturday,27th., and in Oman on Monday 1st. March. Satellite cloud imagery on Friday morning shows thick clouds over the Kashmir and H.P. region and partly cloudy skies over Punjab. The temperatures are now expected to go down by 2/3c in the next few days over Northern/Central and Western India. The latest day temperature map from IMD shows the maximum temperatures hovering in the region of 34 to 36 c. Highest on 25th. was 38.8c at Anantpur.